Robert Steel (1839-1903) was a member of Liverpool Chess Club from1859. He was Vice president in 1866 and 1867 and President in 1868 and 1869. 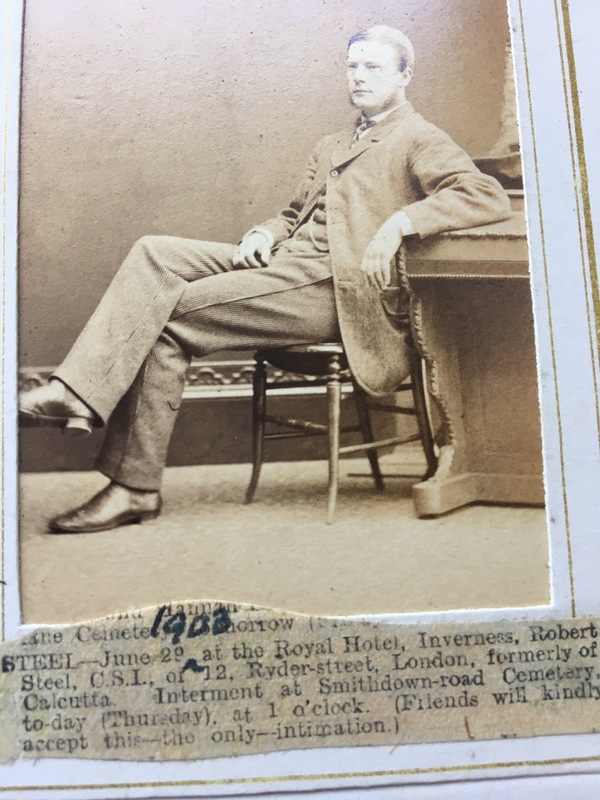 He ws also librarian in 1861 and club secretary in 1862 and 1863. He won the Calcutta championship in 1879 and was a close friend of Steinitz who dedicated his book “The Modern Chess Instructor” to Mr Steel. From the picture we see that he died on 29 June 1903 at the Royal Hotel in Inverness, he lived at 12 Ryder street London. He was interred at Smithdown Road Cemetery.